Management can be, well, difficult to manage. In too many organizations the term itself is a synonym for unnecessary paperwork and uninformative meetings, conjuring an image somewhere between befuddled bureaucrat and dominating parent. But the real function of management - it's highest function - is to keep the organization on track, constantly adjusting resources, activities, and priorities so that the highest priority outputs are delivered despite significant, unforeseeable changes along the way. If you’re running a management team you need everyone working together on your higher-level goals, not creating silos and arguments among themselves. Every day, people are promoted into middle and executive management without any deep understanding or discussion of what the function entails or how to perform it. As a result, the majority of North American business runs on an assortment of platitudes – “Do what you see fit to get the work done,” “Keep your nose in your own business,” “Don’t let yourself get pushed around by other interests,” and “It’s better when we work together” – conflicting generalities which confuse as much as they clarify. To the extent that anyone tries to go deeper, we assume research-based tools for goal-setting, collaboration, teamwork, and decision-making apply within management exactly as they would in any other group of people. But they don’t. In this webinar, award-winning author Ed Muzio, who has been called “one of the planet’s clearest thinkers on management practice,” takes an in-depth look at how managers are managed for agility in high-performing organizations. 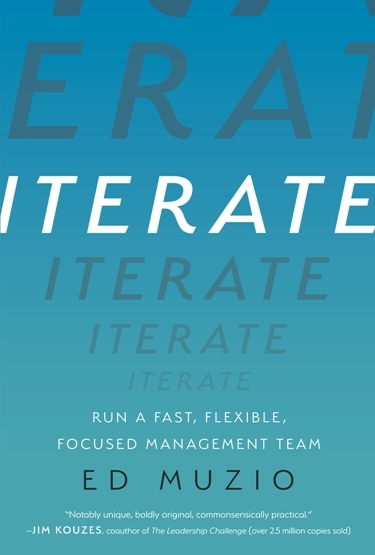 The highly interactive, multimedia content is based upon the seven decades of research and experience captured in his latest book, Iterate: Run a Fast, Flexible, Focused Management Team. At the end, you’ll have a clearer understanding of what management is supposed to be doing and how well you’re doing it today. And, you’ll leave with specific tools that will get your own management team working at a higher level: less bureaucracy, fewer silos, and a whole lot more productive output. 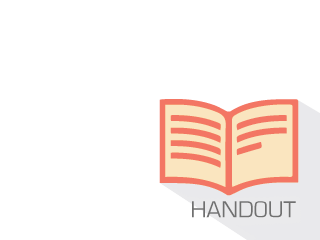 Attend the live webinar and we'll enter you for a chance to win a copy of Ed Muzio's new book, Iterate. The winner will be drawn & announced at the end of the webinar.